This exhaust manifold was originally one of two new manifolds for 2 personal projects that was created by Jesse B of JDL Auto Design and formerly of AFI Turbo. 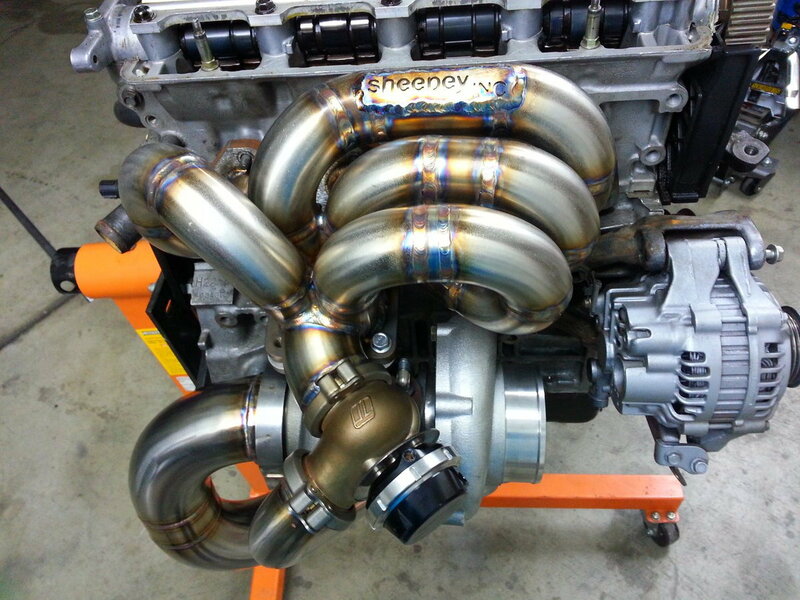 To give a background, after AFI Turbo ended their business venture with Kenny Enterprises in 2012, all of the welding Jigs went to JDL Auto Design, as Jesse created a new venture. When JDL Auto design continued to build their exhaust manifolds, they originally, had no welding plate containing their logo on their manifolds as they (in addition to almost all manufacturers ) do today. 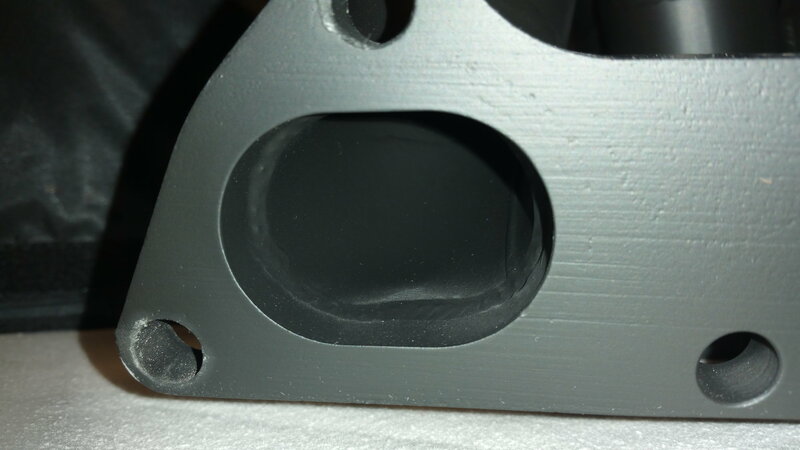 When JDL Auto Design ceased working on Honda exhaust manifolds, they sold their “bottom mount” jig to Sheepey Inc, who now uses this jig for their design. 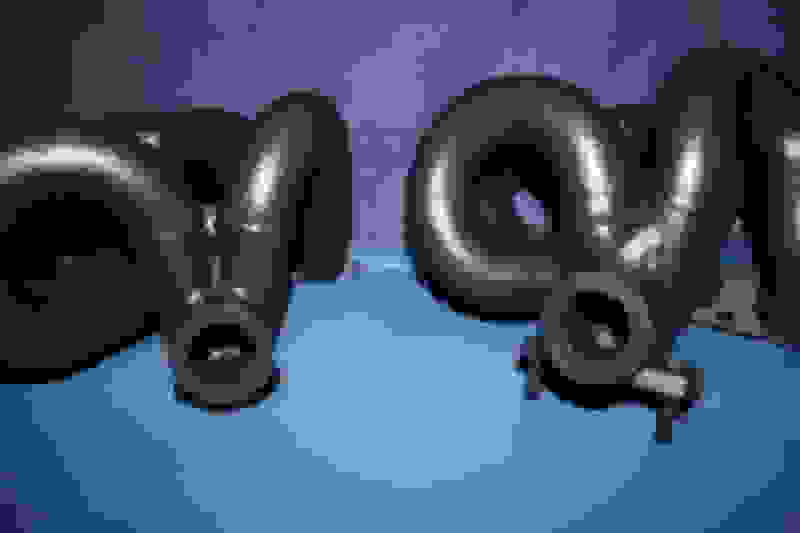 The original grade of materials and even the welders of this exhaust manifold are the same welders that are formerly employed by Full-Race are working currently under Sheepey Inc. This exhaust manifold was originally the first of a set of two manifolds that were to be used for TA trials and testing on a vehicle. 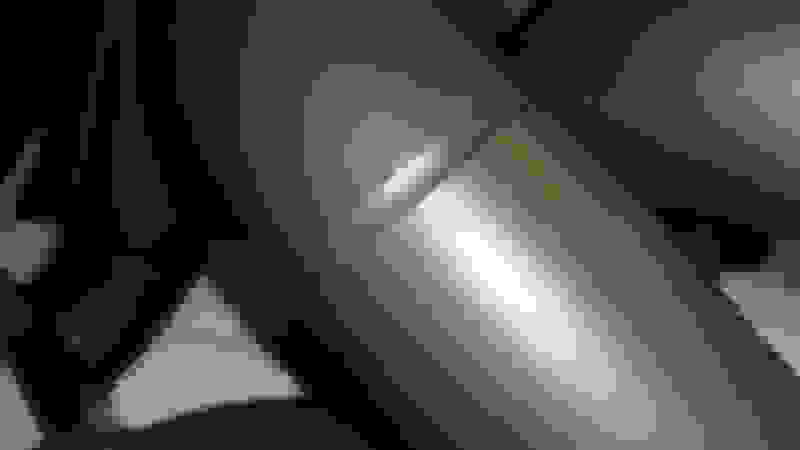 Only one was ever used. 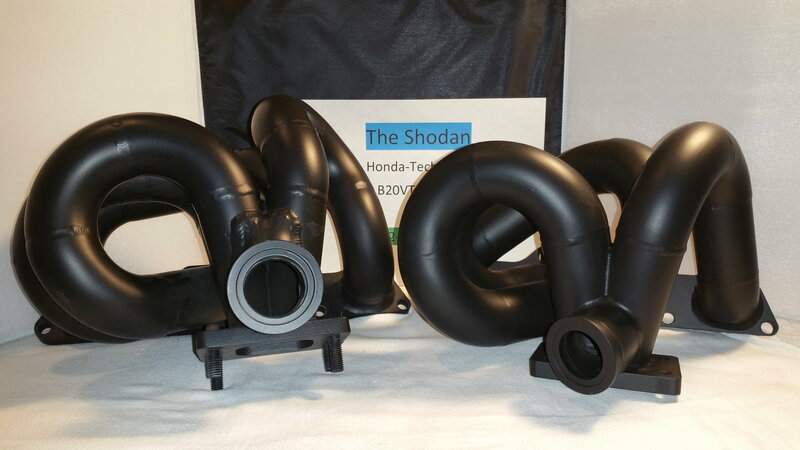 This one was still on the shelf while the other was being tested, and I am cleaning out parts to make way for something else. 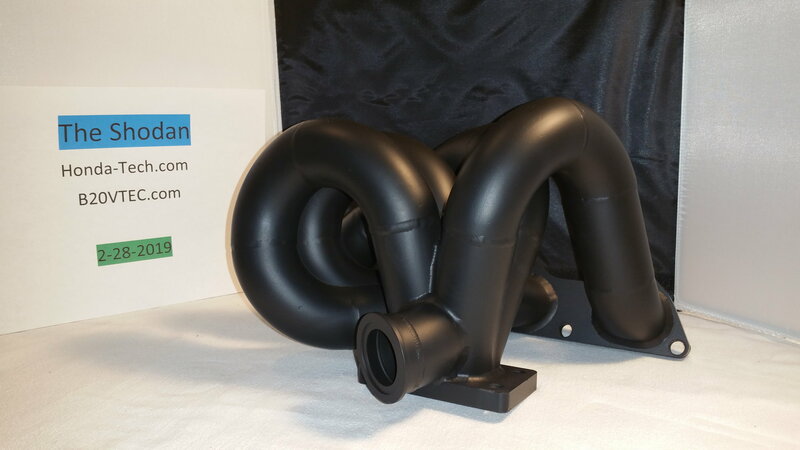 This has been Cerakote high heat coated to withstand temperatures in excess of 1800*F and is made specifically for a B-series Engine using a half-sized radiator, and requires that the compressor cover faces the driver fender. 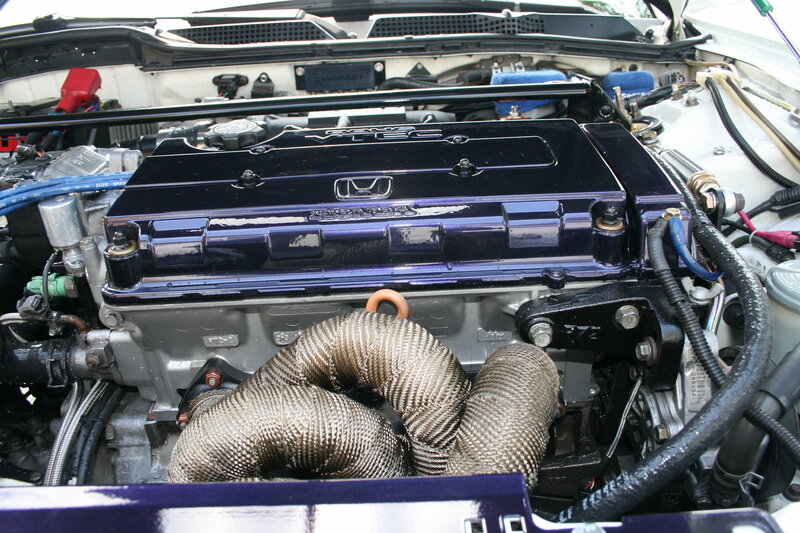 The use of a single back-door intercooler is recommended but not required.. 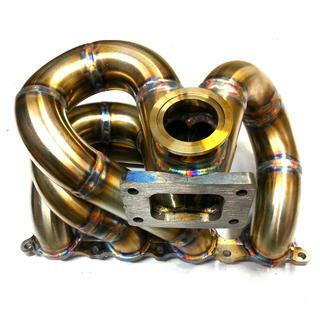 This Bottom Mount manifold has been known to make over 900whp for its use, and was made for those that wanted the higher exhaust energy flow of a Kooks-“Ramhorn”, (same 1.5” primaries) but have much better midrange capabilities and allow for better response for even turbochargers as small as a GT3076R (52lbs/min ) and higher. 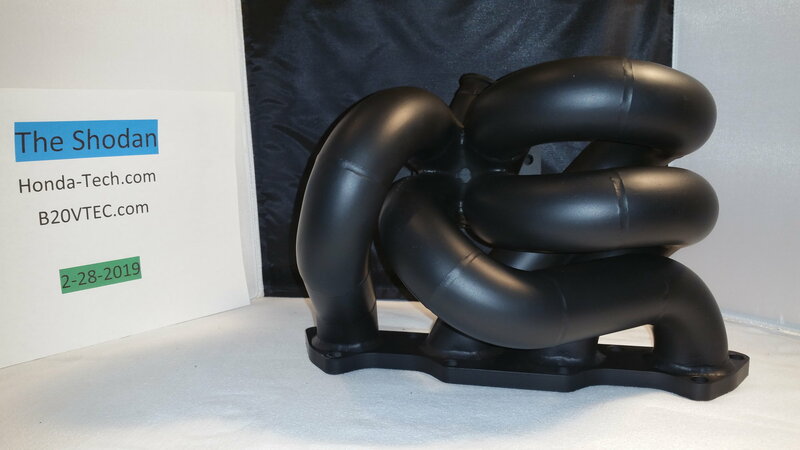 This exhaust manifold is made for those that plan to have over 400-500whp now, but may expand to over 700whp-900whp (with supporting modifications and hardware) if they desire to “grow” later on in their process.You will note that even Sheepey Inc will not sell this exhaust manifold unless it is using a divided turbine flange, twin gates, or 44mm MVS (Hypergate 45) wastegate flange. 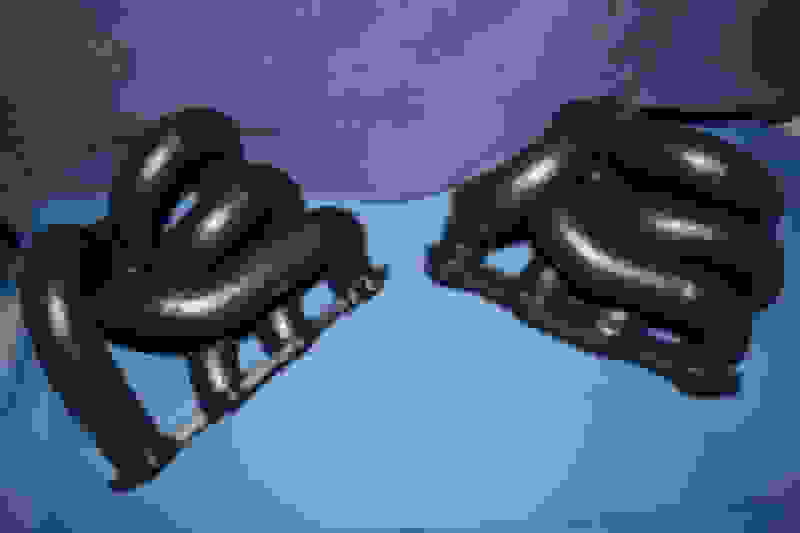 -Use of a Single back door radiator is recommended but not required. 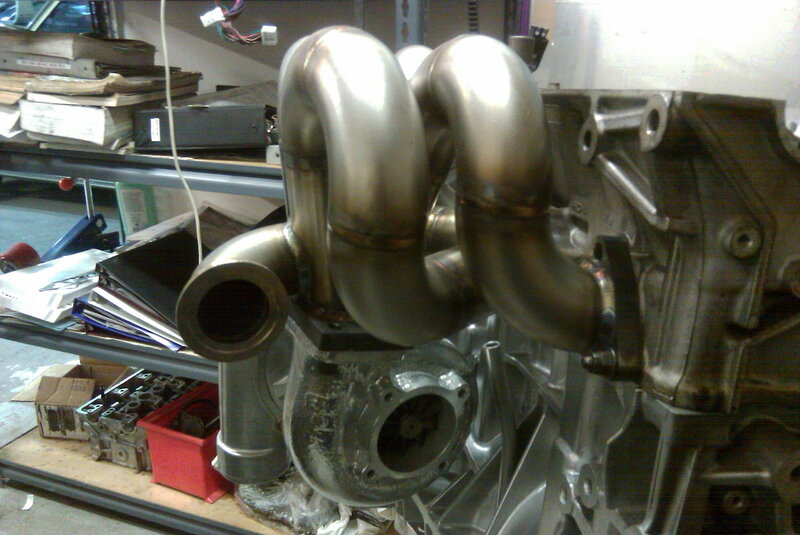 Below are photos of the other manifold in the engine bay of a DC2 chassis with the above parameters met..using a Koyo half sized radiator, GT30R sized turbocharger and Garrett single back door intercooler. 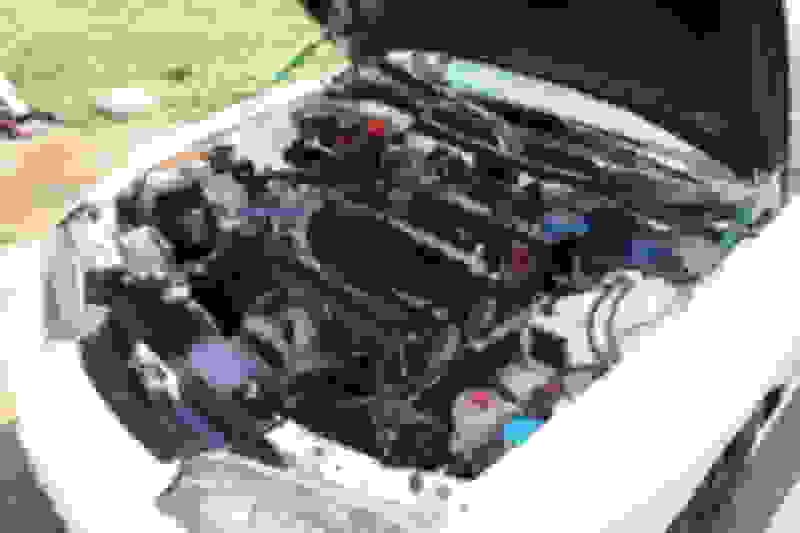 Full power steering has been maintained in this example. 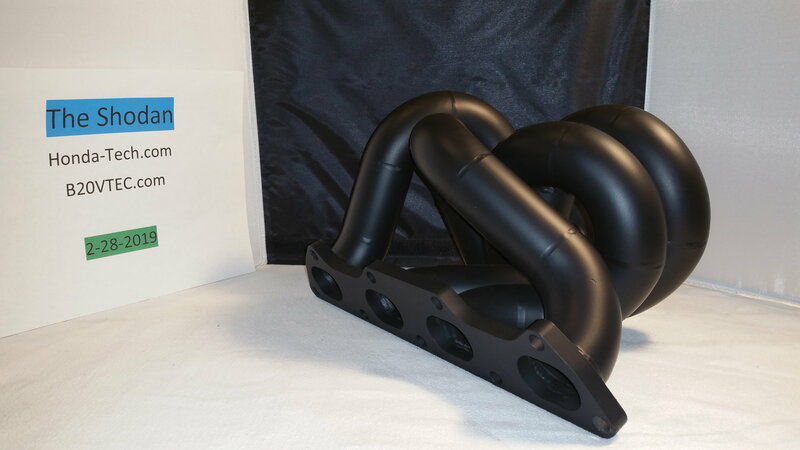 This, brand new anywhere else would cost over $1100, but BNIB cerakoted, I’m asking $930 + shipping for this exhaust manifold. (Weight is approximately 21lbs or 9.5kg minus packing materials.) . Paypal is preferred (Buyer pays fees as common practice unless sent as a gift) but will utilize C.O.D with Certified funds (buyer pays C.O.D. fee). Canada, AK,HI, PR, are subject to different shipping rates. BUYER PAYS ALL INTERNATIONAL SHIPPING, unless negotiated. I am well-vouched for over 14 years without a single issue. So you can purchase with confidence that you're getting the real article. Here is my vouch thread for those interested. Best way to contact me is to PM me on H-T. I am here often, and will gladly answer questions. However, I will not text or e-mail other photos to other locations. Thank you, and please bump this ad after viewing. Last edited by TheShodan; 03-22-2019 at 01:48 PM. you can PM me that question to answer a bit more in-depth, but in essence, tubular exhaust pulse design, and good exhaust cylinder seperation, and even better clearance to the engine's cylinder head than a kook's Ramhorn style manifold. In addition, you can keep the power steering bracket without any modification to it, unlike a Kooks Manifold, in which you must cut the power steering bracket and the bolt itself to have it fit properly. Last edited by TheShodan; 03-07-2019 at 09:30 AM. Could you let me know shipping to Ontario Canada. 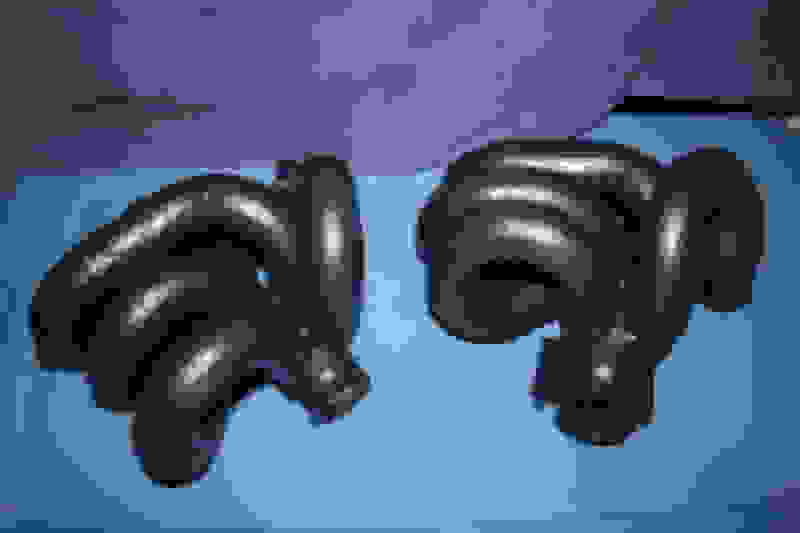 But really looking for a good Ramhorn for cheap. 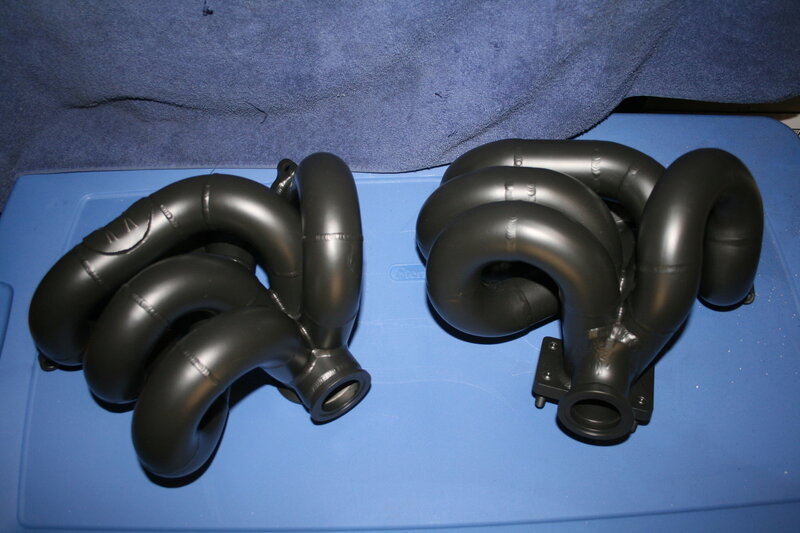 This is far from a "Cheap" exhaust manifold, my friend. Please PM a full address and postal code, and I'll check it out. 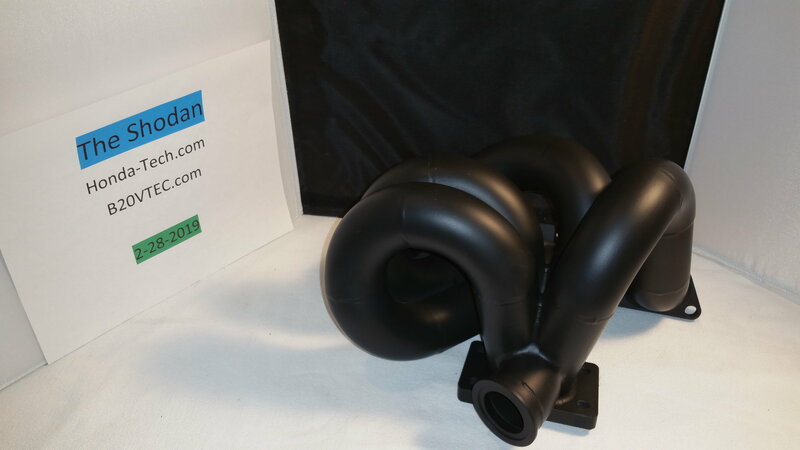 Only FEDEX or UPS for shipping international will be allowed, as USPS Global Express only insures up to $375USD, and that is not the value of this exhaust manifold, which is $930USD ($1248.29 CAD). Let's try that again. please give me a FULL address and postal code. Alright, never mind, then..... bumping. Whoa. I hope for you to have a speedy recovery. Thank you for the bump. Monday bump. How is this still available. Nice piece of functional art lol.